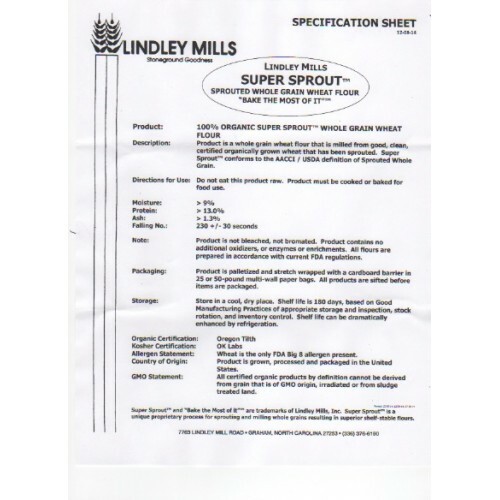 Super Sprout is whole grain organic wheat that has been sprouted and milled into flour for baking. Sprouting greatly enhances the nutrition and digestibility of wheat. The body sees sprouted wheat more as a vegetable than a grain. The sprouting process jump starts digestion and provides a far superior nutritional value for your body. 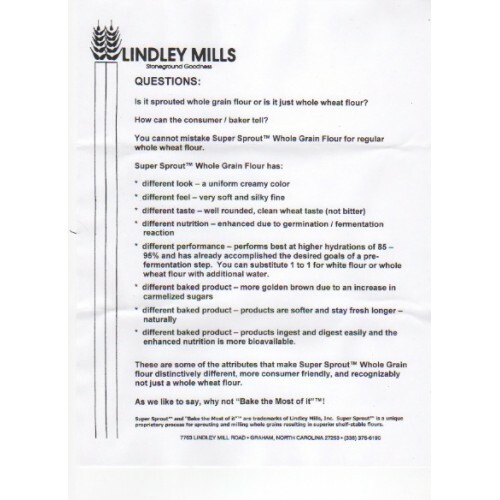 Product is a wheat flour that is milled from good, clean, sprouted certified organically grown wheat. Not bleached, not bromide and contains no additional oxidizers, enzymes or treatment.